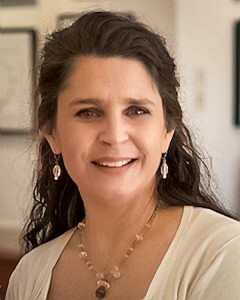 Originally from Vancouver, Canada, Barbara Marie Kraus studied textile and interior design in San Francisco before moving to Coastal Georgia in 1994. Her love of the photographic medium started when she was a teenager and has been a constant companion through the years. With the advent of computer driven graphics she has extended her talents into the digital realm and enjoys the myriad manipulative possibilities available with modern graphics computer programs. A nature enthusiast, Kraus spends much of her time outdoors photographing both, the landscapes of the beaches, salt marshes and river estuaries of Coastal Georgia and, the animals that inhabit these ecosystems. Her early work with textiles and a focus on pattern and texture are evident in her images. “I try to capture the essence of living things by highlighting the tactile details that make them unique.” Ruffled feathers on birds in flight, the smooth bumps on an alligator’s hide and the rough irregular patterns of tree bark are all captured meticulously in her images. Sharing her enthusiasm for photography is another of Kraus’ interests. She regularly teaches classes at Glynn Art on St. Simons Island and her photography business, Beach Cottage Photography, offers workshops and private lessons. Her work has been featured in numerous publications and hangs in both private and public collections across the country. She is a member of the Coastal Photographers Guild, Georgia Nature Photographer s Association, the Glynn Art Association, and the Jekyll Art Association.